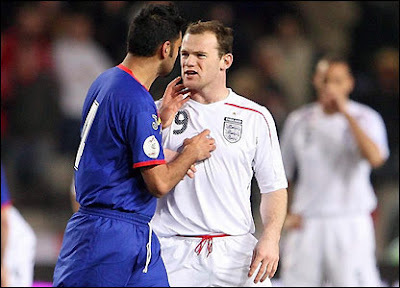 The Football Front's Senior Writer Christian Brown gives his thoughts on Wayne Rooney's three match ban for the Euro's and England's chances in the tournament. So, it was announced on the 13th October that Wayne Rooney’s most recent moment of pure idiocy has been met with a 3 game suspension – thus ruling him out of the group stages. 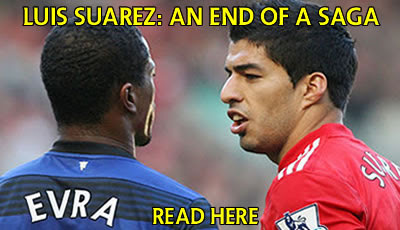 Although it may yet be appealed by The FA, such was the severity of the incident; it wouldn’t surprise me if it went to a 4 game ban. This piece of news has generally been greeted with worry and fear, as if our tournament is already over. Erm, why? Perhaps unbeknown to them, UEFA have potentially gifted the tournament to England. Let’s get this straight. 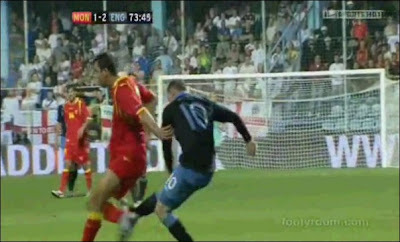 Wayne Rooney’s foul against Montenegro wasn’t an isolated incident. 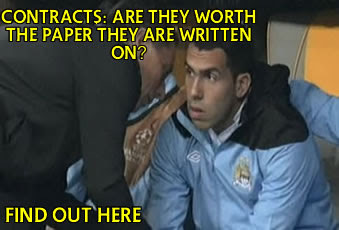 Remember the attack on Wigan’s James McCarthy last season? Funny thing is, if UEFA came to the conclusion that the Montenegro sending off was an assault, then they probably would have judged the McCarthy incident as either GBH or attempted murder. Then there was the sending off in the World Cup 2006 quarter final versus Portugal. You could argue that his foot had nowhere else to go, but the ferocity in the stamp suggests otherwise. 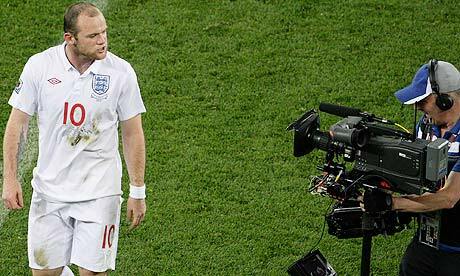 It’s painfully obvious, that Rooney has a discipline problem. You can dress it up all you like about how he’s improved it, the fact of the matter is that it is still there. And it has cost Fabio Capello dearly. Or has it? In some ways, Capello must have been wishing this happened last year. It was blatant that Rooney wasn’t playing well, yet ‘Don Fabio’ - the alleged strict disciplinarian, the bloke who very hypocritically said that he’ll only pick players on form – kept him in the team. It was perhaps the decision which cost England the World Cup, as the ‘talisman’ failed to find the net in South Africa, and more often than, Rooney made it look as if we were playing with 10 men. Well, now he has the chance to live up to one of his initial failed promises – picking people on form. He’s not short of options to fill the void left by Rooney; exciting youth prospects such as Danny Welbeck and Daniel Sturridge are banging them in for their clubs, and there’s always the old guard such as the likes of Crouch or Defoe to partner Darren Bent in attack. The fact we allowed ourselves to become totally dependent on a brainless ape like Rooney is totally down to Capello, and this is how he will have to amend things – by getting England to play as a team. And yes. That means depending on 11 men, rather than a mere one or two. It’s something else which England have failed to do under Capello. Look at Spain and Germany. Look at all the individuals they have in their teams, the likes of Iniesta and Schweinsteiger, these are players that can win a game on their own. Yet I don’t see them needlessly getting in the way of someone else – i.e. the right back – by stupidly running to that position with no meaning or purpose. I also notice they have something called ‘positional sense’, as in you stay where you’ve been told to stay. Easy enough, if you’re a left back, you stay left back. If you’re a striker, you stay up front. If you are a striker, you don’t track back to the point where you’re playing as a centre back, so should the team break away at pace, you will be in your position ready to score! But, in the case with Rooney – this never happens, as his clear lack of intelligence scuppers just about every well played out move England create. The news from UEFA was met with great rejoicing from my part, as I am now optimistic about our chances in a major tournament for the first time since the 2006 World Cup. I’m not going to say we can win it, but I seriously believe that without Rooney we stand a much better chance of doing the nation proud. The next set of friendlies will give Capello the chance to tinker around with a new front two, and for once I’m very excited about them. As for Rooney? Check if you’ve got Irish grandparents and jump ship, because when England perform better without you, there’s no way back. This piece was written by Christian Brown, you can follow him on his Twitter - @Chris78901, Chris also writes for The Sports Pallet too. All of Christian's work for The Football Front can be found here.